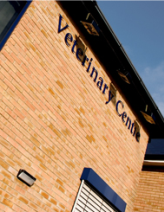 Opened in 1984 by Ken Burley and Clive Swainsbury, our veterinary practice has gone from strength to strength, growing in size as we have expanded into locations in Woodford Bridge and Harlow. Having begun life as the eponymous ‘Burley and Swainsbury’, we soon became one of the area’s most relied upon veterinary services due to our level of expertise and dedication to progress in both medicine and technology. So much so that after 12 years at our Epping branch we found we had no choice but to expand in order to increase our capacity and provide the kind of healthcare that we wanted. After a massive refurbishment project, we opened our new centre in Epping in 1996, and so the ‘Forest Veterinary Centre’ was born. Taking on a far larger premises meant that we could provide staff accommodation, meaning that we could always have someone on hand 24/7 for any kind of emergency, as well as superior in-patient accommodation. Due to this level of commitment, we have since gained the highest degree of classification and our Epping centre has been inaugurated as a veterinary hospital. Following our success in Epping, we opened a state-of-the-art facility in Harlow in 2004, the same year that our Woodford Bridge premises underwent a substantial refurbishment, as we sought to offer the local community more extensive services. In 2015 the Eastwick Lodge Farmhouse, on the same site was converted to the new expanded Harlow surgery offering increased consulting hours and modern fully equipped operating facillities. After 27 years, Ken Burley took retirement in 2011. Glenn Bengtson and Paul Hill, two veterinary surgeons at the top of their field, who are keen to see Forest Veterinary Centre expand even further, joined the partnership in 2002 and 2009 respectfully. In 2016 we became one of the few practices in the UK to offer radioactive iodine therapy for the treatment of feline hyperthyroidism at our new radioactive iodine unit at Harlow surgery. In April 2018 Clive retired from the Partenrship and continues in his role as the centre vet for the Guide Dogs for the Blind and not works 2.5 days per week at the Harlow Surgery. Paul Hill has relocated to the North of the country with his growing family to be nearer extended family. Forest Veterinary Centre Ltd now operates under the umbrella of Vetpartners Ltd.
Forest Veterinary Centre is always looking to expand upon its ethos of total-care for small animals by updating facilities and technology, and see no limit to the healthcare system we can provide. It is our belief that care begins from day one and we pride ourselves on being there for everyone as much as we can. We want to continue expanding upon our charitable contributions and are excited to see where the next 30 years might take us.